Learn to hear and to visualize on your instrument. 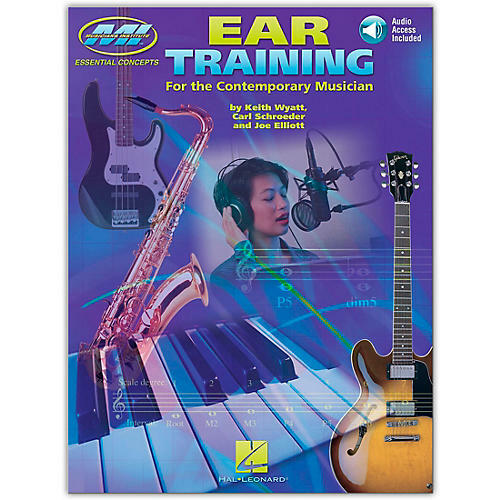 This book and online audio pack takes you step-by-step through Musician Institute's well-known ear training course. Complete lessons and analysis include: basic pitch matching; singing major and minor scales; identifying intervals; transcribing melodies and rhythm; identifying chords and progressions; seventh chords and the blues; modal interchange; chromaticism; modulation; and more. Over 2 hours of practice exercises with complete answers in the back of the book. 122 pages. Take your playing from good to great! Order this training course now!